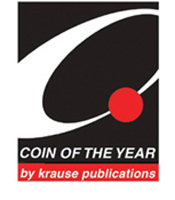 The following nominations kicked off the 2019 Coin of the Year competition. Ten category winners will be chosen to vie for the top award, and all winners will be recognized on Feb. 2 at the World Money Fair in Berlin, Germany. All coins in this year’s contest are dated 2017. Read more here.